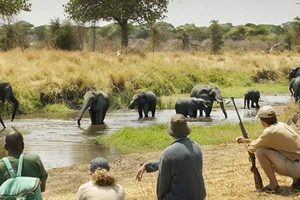 Leading Tour operators in Tanzania is organising Tanzania tourism packages for various locations in South Africa, and we the Adventure Heroes here by give you information on 20 National Parks in Tanzania which is the best for Tanzania Safari. Tanzania is one of Africa’s most dynamic and popular travel destinations – offering the best of both safari and sea. 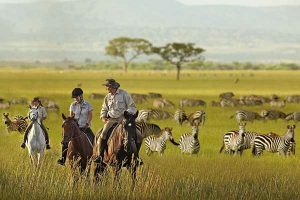 Tanzania has more natural tou rlst attractions than most other oountnes on the continent -becoming known as the best safari destination in Africa. Complemented by lts magnifioent beaches and Islands, Tanzania offers It all. The spectacular country draws large numbers· of travellers from all over the earth. Here is the list of national parks in Tanzania. Tanzania is home to the Serengeti National Park – world famous for the Great Migration: Mount Kilimanjaro – Africa’s highest mountain: Ngorongoro Crater; Mount Meru – fifth· highest peak on the continent; Lakes Victoria. Tanganyika and Nyasa – the three largest freshwater bodies in Africa: as well as the magical ‘spice island’ of Zanzibar. One-quarter of Tanzania’s surface area has been set for conservation purposes. The 15 declared National Parks managed by Tanzania National Parks (TANAPA), collectively harbour an estimated 20% of Africa’s large mammal population – creating a rich mosaic of protected areas. In Northern Tanzania. Moshi National Park’s 552km2 area is a diversity of habitats. Montane forest surrounds the Ngurdoto Crater, which teams with wildlife. The Mom€1a Lakes are visited by thousands of flamingos. The peak of Kilimanjaro is visible on the horizon, but most dominant In the park is Moun Meru at 4,566m. At 52km2, Gombe is Tanzania’s smallest National Park It Is a fragile strip of chimpanzee habitat neighbouring the steep slopes and river valleys around the northern shore of Lake Tanganyika. Its chimps were made famous by the pioneering work of Jane Goodall, whose behavioural research program Is the longest-running study of its kind in the world. Isolated, quiet and unspoilt, Katavi is a true wilderness, providing a taste of Africa as it was. Tanzania’s third largest national park at 4.4 71 km2. It lies In the southwest, of the country, within the Rift Valley, ending In the shallow expanse of Lake Rukwa. Game viewing Is focused on the Katuma River and Its floodplains, such as the seasonal Lakes Kata and Chada. In the dry season. the Katuma becomes a rare source of drinking water – drawing an abundance of hippos and 4,000 elephants. Not only is it the highest peak in Africa. Kilimanjaro is also the tallest free-standing mountain in the world. rising from the surrounding plains at 900m to 5,895m. It is one of the world’s most accessible high summits; a beacon for visitors from around the world who reach either the summit at Uhuru Point. or Gillman’s Point on the crater edge. The Kilimanjaro National Park Is 1668km2 and Its boundary lies at the 2, 700m Contour. Referred to by locals as The Garden of God and The Serengeti of Flowers by botanists, Kithostsosls one of the great floral spectacles of the world. It is home to 350 species of vascular plants. including 45 varieties of terrestrial orchid – forming a wildflower display during the rainy season. Perched at 2600m between the rugged peaks of the Kipengere. Poroto and Livingstone Mountains and, with an area of 412.9km2, Its well-watered volcanic soils support the largest montane grassland In Tanzania. Stretching for 50km along the base of the 600m high Rift Valley escarpment with an area of 330km2, Lake Manya National Park was described by Ernest Hemingway as “the loveliest I had seen in Africa”. The compact game viewing circuit through Manyata encapsulates the Tanzanian Safari Experience. An expanse of lush groundwater forest of ancient mahogany trees are contrasted by grassy floodplain with views across the alkaline lake to the volcanic peaks of the Masai Steppes. 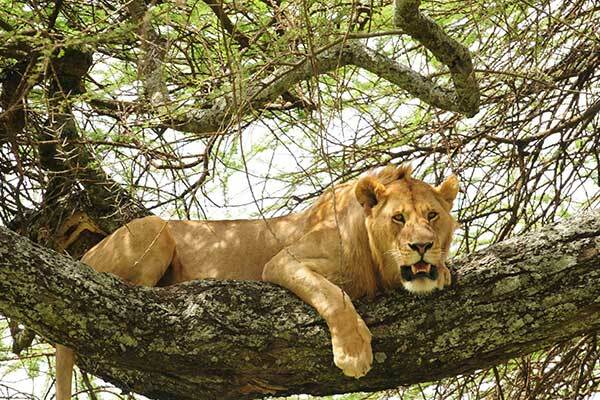 Manyara’s acacia woodland is home to its legendary elephants and tree-climbing lions. Mikumi National Park borders Africa’s biggest game reserve-the Selous*and is dissected by the tarred road between Dar es Salaam and Iringa. Its floodplain forms the centrepieces and abounds with wildlife. A major attraction is the hippos at the pools near the entrance.At 3230km2. Mikumi is the fourth largest park in Tanzania and part of a much larger ecosystem. Gazetted in 1977, Rubondo Island is an important breeding ground for migratory birds and fish as it was once the only well protected area of Lake Victoria. About 80% of the park is covered by dense forest, providing a variety of habitats to wildlife ranry in Tanzania bordering the sea. It offers a unique combination of both marine and mainland flora and fauna. The open ocean with coral reets changes Inland to mangrove forest ecosystems, and in to salt pans. Further Inland, the Wami River is the most important freshwater source beside numerous seasonal rivers and dams. Tanzania’s oldest and most popular national park, world heritage site and recently proclaimed th Wonder of the Worls. The ing from savannah, open woodland, papyrus swamps to dense forest. The park is 456.8km2 of which 220km2 is water comprising 11 small islets. prey dominates – with a large population of lion, as well as leopard, cheetah, all three African jackal species, and spotted nyena. secretive Eastern Arc endemics, and a forest partridge. 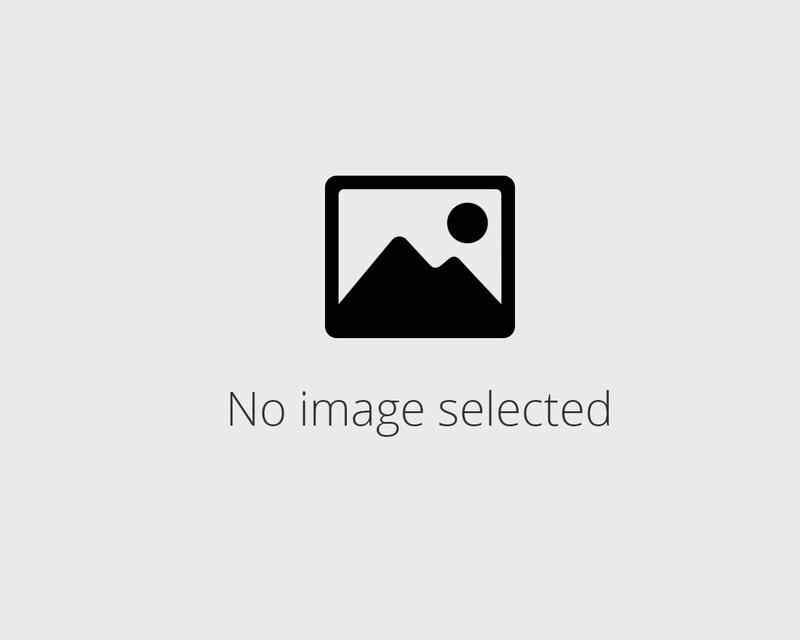 The Iringa red colobus and Sanje Crested Mangabey are found only here. The forests of Udzungwa consist of verdant glades of 30 metre high trees. At 1992km2, Udzungwa is the largest and most blodiverse of a chain of large forest-swathed mountains. Known collectively as the Eastern Arc Mountains, the area has been dubbed the African Galapagos for its deversity of endemic plants and animals including the African violet. Its closed -canopy spans altitudes of 250m to above 2000m. Birds include the green-headed Onole, numerous secretuve Eastern Arc endemics, and a forest partridge. The Iringa red colobus and Sanje Crested Mangabey are found only here. The information above about National Parks in Tanzania will help you to get an awareness about the National Parks in Tanzania, and we, the leading tour operators in Tanzania do conduct Tanzania Tour Packages. We are proud to declare we are best Tanzania safari company.